LAGI 2019 Opens on January 16th, 2019 and closes on May 12th, 2019. In a signing ceremony today at the World Future Energy Summit in Abu Dhabi, the Land Art Generator Initiative launched a special edition design competition for 2019. 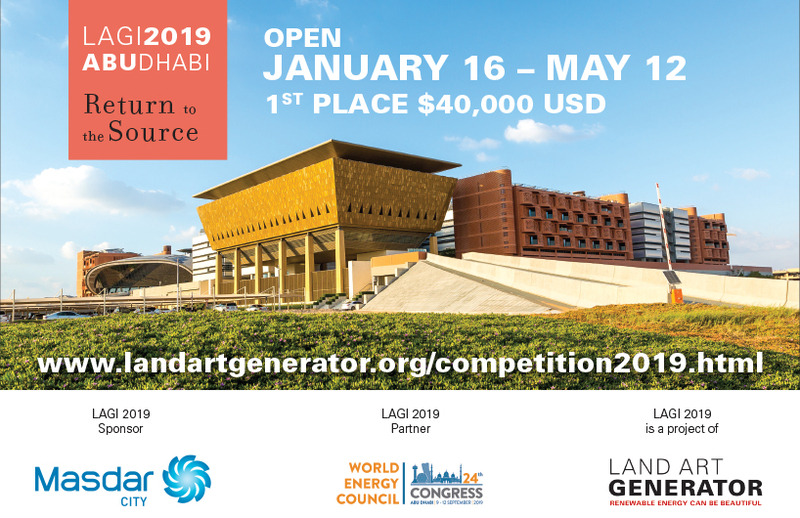 The competition, which is sponsored by Masdar, opens today, January 16th and runs through the May 12, 2019 submission deadline. LAGI 2019—Return to the Source—invites you to create an iconic work of art for a landmark site within Masdar City, Abu Dhabi. Your artwork will use renewable energy technology as a medium of creative expression and will provide on-site energy production consistent with the master plan of the city. 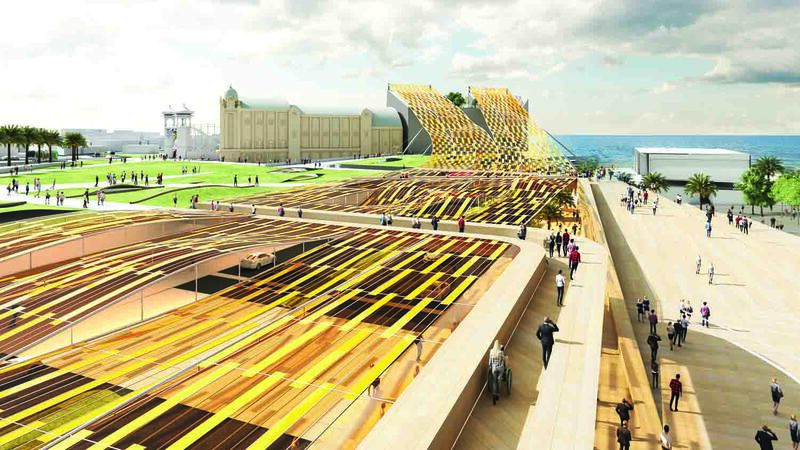 LAGI 2019 presents a new kind of challenge from the Land Art Generator initiative. This year’s special edition is sponsored by Masdar and is an official side event of the 24th World Energy Congress, the largest and most influential global energy event—a forum for innovation and dialogue on energy issues for 95 years. The 24th World Energy Congress will be the venue for the awards ceremony and the exhibition of 25 shortlisted projects designed for Masdar City. 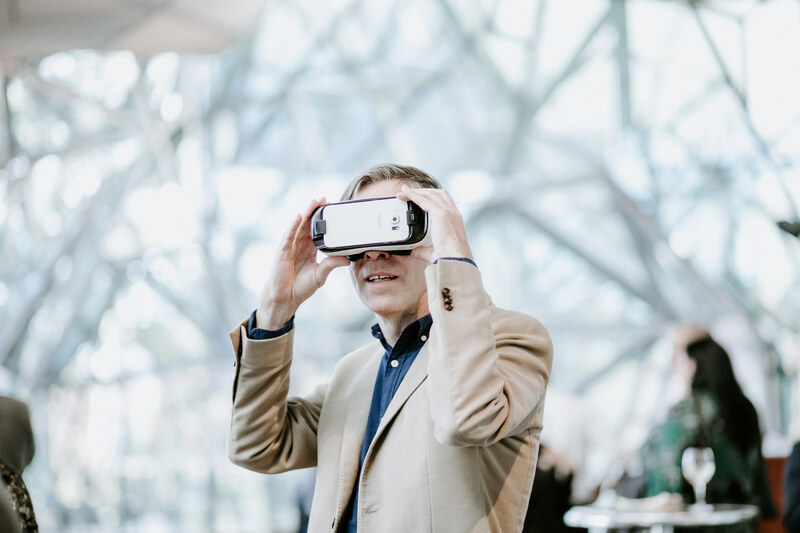 The 2020 World Future Energy Summit will host a second exhibition and book launch. 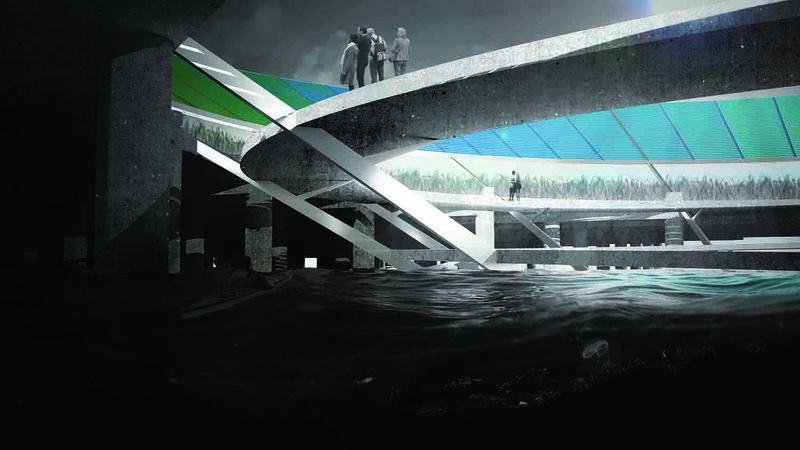 The goal of LAGI 2019 is to bring forward a portfolio of feasible concept designs that push the boundaries of what is possible using today’s renewable energy technologies. To ensure that the proposals are constructible, this will be the first LAGI design competition that will provide a capital cost restriction as a part of the design brief. The cost per watt of installed nameplate capacity is meant to provide guidance and steer proposals towards technologies that are ready for implementation. The limit has been set to coincide with the approximate cost per watt of installed solar photovoltaic panels as it existed in 1992, the year of the first United Nations Framework on Climate Change meeting (the Earth Summit in Rio de Janeiro). Since then, the cost of installed solar has fallen more than 85%. Celebrating this achievement that has placed solar at parity with fossil fueled electricity, you are asked to reinvest this cost margin into the artistic elements of your design. You are free to use any renewable energy technology, as long as your estimated cost per watt installed does not exceed $20 USD. When we think of renewable energy infrastructure we often have in mind dark blue photovoltaic rectangles carpeting the landscape or large three-blade horizontal axis wind turbines marching along mountain ridges or into the sea. We think about grid reliability and consumer cost per kilowatt-hour, or we think about the climate change apocalypse that we will impose on future generations if we fail to act swiftly enough. All of these elements are important from technical and policy perspectives, but there is something missing that will be key to success if we are to meet the goals for decarbonization that we have set for ourselves. We must recognize the importance of human culture to the realization of change. LAGI 2019 is free and open to anyone around the world. We encourage interdisciplinary teams (although we also welcome solo work) and invite participation from artists, architects, landscape architects, engineers, scientists, and anyone who has an idea for how our new energy systems can be culturally celebrated and joyful contributions to our public spaces. One representative of the first and second place winning teams will be flown to Abu Dhabi, UAE for the award ceremony and exhibition opening. Award ceremony and primary exhibition will be held at the 24th World Energy Congress in September 2019 at the Abu Dhabi National Exhibition Centre. 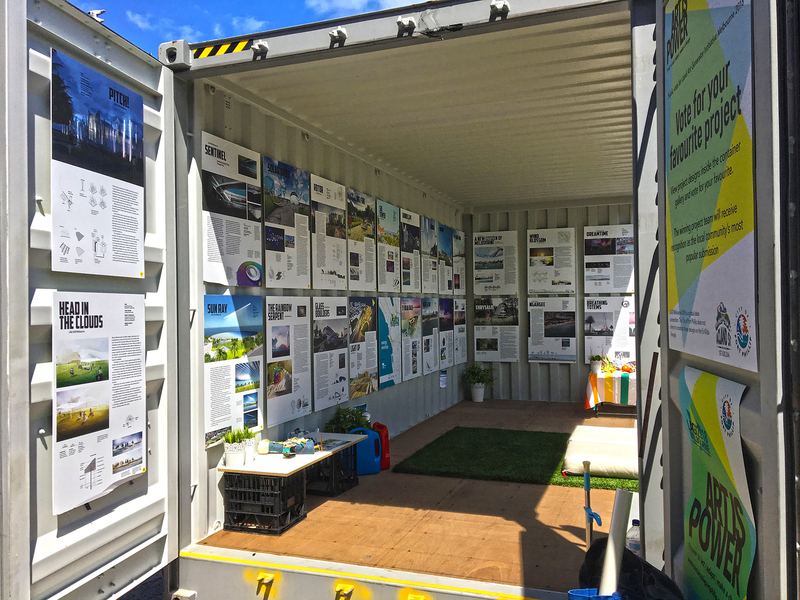 A second exhibition will accompany the book launch at the 2020 World Future Energy Summit. The LAGI 2018 publication (Prestel Publishers) featuring the top 50 submissions will be released in January 2020 at the World Future Energy Summit. 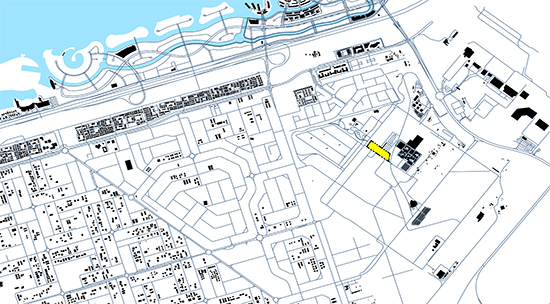 The LAGI 2019 Design Site is a landmark location at Masdar City—one of the masterplan’s most prominent public spaces.